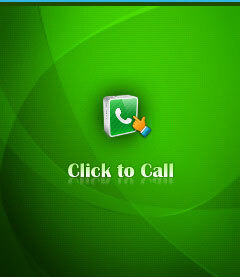 Click to call is a simple way to make local or long distance calls. This Click to Call application is simple and efficient way to do hassle-free local or long distance calls with a simple click. Simply login with your credentials, enter source and destination number to connect and hit call. This will call source number and connect it with destination number. Install the application to your smart phone. Currently Android, iPhone, Blackberry & Windows smart phones are supported. Please click link below to know detailed installation steps for relevant platform. Open the click to call application. Make sure you are connected to internet through wifi or mobile network. You will be prompted to enter your credentials to login to the application. Enter the same credentials you use to login to our website. In case you are not sure about it or want to open new account then please contact our customer care. On successful authentication, you will see the main click to call screen as below. 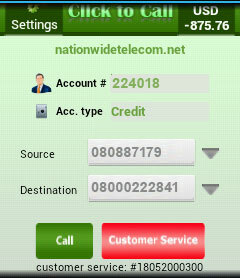 As you can see in the screenshot, the application shows your current balance, username, account type and customer care number. Your balance will be updated every few minutes so that you can know your current balance. 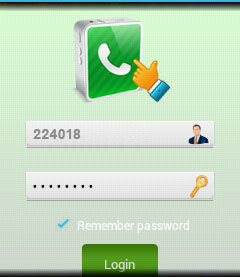 Your own numbers and speed dial numbers are loaded automatically in the application for your convenience. You can update the speed dial or number assignment by going to our customer portal. In case you change the numbers, please restart the click to call application for changes to reflect in the application. You can either select source and destination number from the dropdown menu or you can enter manually. 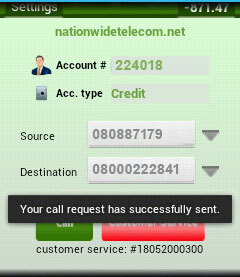 Once you select source and destination numbers, click "Call" button to initiate the call. Please note that this will send the request on server and give you confirmation about success or failure. Once the request is sent to server, it may take few seconds to originate the call so please be patient before attempting to make another request. You will get call on source number first. When call is answered by source number, system will try to call destination number and connect with the source number. In case the call is not established to source or destination number for long time, please disconnect the call if active and then try again. 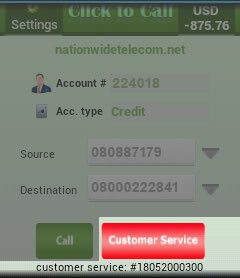 There is a "Customer Service" button in the application which is added for your convenience so that you can connect with customer service using same click to call application. 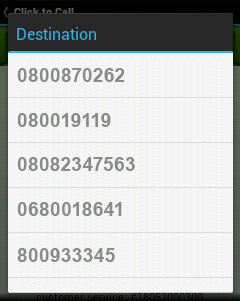 Additionally, customer service number is also shown below the call buttons. In case of any issue or query about your account, service or this application, feel free to contact customer service by dialing the number shown in application or by clicking "Customer Service" button.